In this presentation we look at the history of shale oil production in Montana, since 2001, from in total almost 1500 horizontal wells. The data has been kindly supplied by the BOGC of Montana. Although overall shale oil production in Montana is much lower than the other areas I have covered, the shale boom started here very early. You can see quite a ramp up in production in 2001-2005. If you look at the well quality tab, you can see that wells that started production in 2003 & 2004 have, on average, performed really well compared with later years, but also compared with other basins. Although the initial production of these wells was quite low compared with recent wells in other basins, their decline has also been quite shallow; even after 12 years, the average 2003 well still produced 30 bo/d. From 2003 to 2009, you can see steadily declining well productivity, followed by some improvements again (I assume geology & completion related). 2008/2009 : Just 24 new horizontal wells were started in Montana in 2009, vs 178 in 2006, which included the first peak in production. Three years of falling production (since the peak in 2006), lead to a total decline of 38%, in 2009. 2015/2016 : The recent downturn is even more severe than the previous one. Hardly any new wells have started production in 2015, causing a very sharp decline. Total production in March, based on preliminary numbers, is almost the same as in the previous trough of 2010/2011. I will probably not do more separate updates on Montana, but will include the production from these wells in my regular updates on total shale oil production in the US. For simplicity, I will include this in the “Bakken” basin, even though that is not correct for some of these wells. I will have a post on the Permian this weekend. In North Dakota, “oil” is the same as C+C as reported by the EIA, is that also the case for these charts or are they “crude only” as is the case for your Texas charts? All the Bakken wells are oil wells, Dennis. 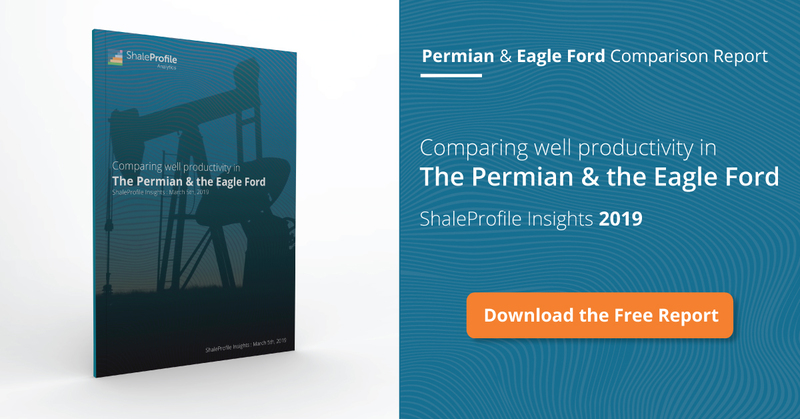 It doesn’t have a gassy section like the Eagle Ford or Anadarko does. Condensate is associated oil from a gas well (designated as such because it passes some legal or conventional hurdle for amount of gas). Crude is just oil from a well that is designated as an oil well. Both “oil” and “gas” wells have some combination of oil and gas. The three phase separator at the well head separates oil, gas, and water. Oil is just a complex mix of liquid hydrocarbons though. Condensate is usually lighter API than crude, but it is possible for a grey area in the upper 40s where something designated a crude might even be lighter than something designated a condensate. But typically lease condensate is more into the 50s and crude is 45 and below. Something like Eagle Ford 47 API is a grey area. [I have always seen this treated as crude, but in fact refinery buyers and wholesalers treat crude and condensate alike…as different grades of crude. But completely different than NGLS like butane, isobutene, propane and ethane (purity products and gasses at room temperature). Crude and condensate come from the same overall biological and geological processes. It is just an issue of classification. Nature doesn’t care though. And chemically, we are not talking different molecules or fundamentally different chemistries (like methane versus ethane or bronze versus brass). Just different grades of oil, which itself is a complex biologically derived substance with thousands of different molecules and substantial differences in composition from location to location. All discussion above is for “lease condensate”. Plant condensate is also a very light oil, but is typically above 60 API. Is C5+ hydrocarbons that are not separated at the wellhead but come out of the gas stream at an NGL plant. Agreed, frequent updates not needed, but the quick analysis was very nice. No rigs running in MT now (I think). I remember reading about some secondary development (new sweet spot) in MT. Think that is part of the development from a few years ago. Agreed you also see the price impact, but I don’t think that is the only thing. Also some of the initial sweet spot was just “all drilled up”. So there are a lot of things going on. I think the slower decline is because it is more shallow. Typically the deeper wells in the Bakken have more rapid decline (although higher estimated EURs). Pretty fluffy piece on the DJ, but some comments on breakeven price and core of the core areas. Interesting comment towards the end that slickwater gives high initial production but faster decline. isobutane, not ‘tene. Spell correct makes this change all the time. GRR. It is not a typo from me or not knowing the difference. @Dennis : Montana lumps condensate & oil together in the same field, so I can’t distinguish between them. @Nony : thanks for the background info. Drilling in Montana dropped dramatically after the price drop in 2014. According to BH, there were 378 horizontal rig weeks in 2014, vs 63 in 2015, and 0 in 2016. Interesting info regarding the higher IP & faster decline of slickwater completions. I haven’t seen that mentioned before, but that is indeed what we appear to be seeing across the board. If the EUR is the same and slickwater delivers faster payout (thus better NPV because of time value of money) along with cheaper completion, than slickwater would seem to be a winner over guar. Of course we don’t really know how the out year declines will look so…(shrug).